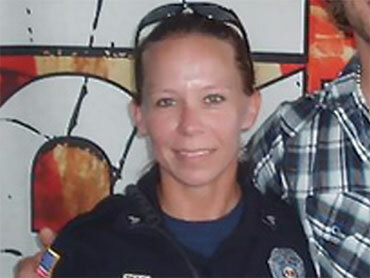 The shooting rampage at Fort Hood that left 13 people dead and wounded 31 others could have been worse, if not for the actions of police officer Kimberly Munley, reports CBS News correspondent Don Teague. Munley, a civilian police officer employed by the Army, was the first responder credited with shooting Army Maj. Nidal Malik Hasan, a military psychiatrist who allegedly opened fire in an on-base medical center. Munley was shot in the exchange of fire but not before shooting Hasan four times. She was in stable condition after undergoing surgery, according to Lt. Gen. Robert Cone. Cone described Munley as "one of our most aggressive police officers," during an appearance on CBS' "The Early Show". "As he walked out of the corner of the building, she came upon him," Cone said. Cone said Munley is doing well in the hospital and has "been talking to her friends on the phone." Hasan, who was facing deployment overseas, was initially reported killed in the attack but he survived his wounds and is currently in stable condition in a civilian hospital. Officials are trying to piece together a possible motive for the attack, believed to be the worst ever at a U.S. domestic military debate. "Allahu Akbar": Hasan's Words as He Fired?